Good new for all Facebook lovers. The World's #1 social network site now allow users to add different smiley icons on their comments. 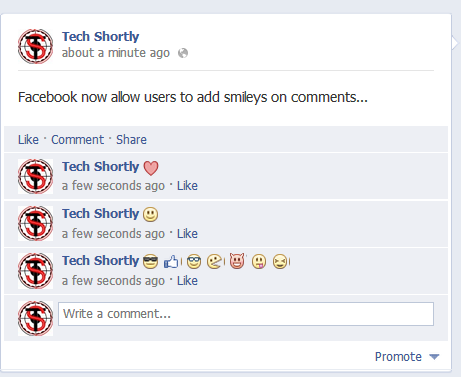 Previously Facebook supports smileys on chat and messages but now added smiley feature on comments. So here after users can use smileys in Chat, Messages and Comments on Facebook.